We provide a large HID selection to meet your needs. If your looking for a low beam upgrade, single beam duel beam, or bi-xenon, we have it available and ready to ship within 24-48 hours. Delivery takes about 3-5 business days. We provide full instructions for installation and a full one year warranty, we also provide full phone support. 300C HID Kit 04-UP at the best prices. We carry 300C HID Kit 04-UP instock ready to ship. 300C HID Kit 04-UP are custom for your vehicle. 300C is a great vehicle and the upgrade of hid kit for this vehicle is a must. Its stock lights are not bright so this makes the upgrade suitable for your vehicle, Xenon hid kit are very cheap and of quality lights, they have many models like; 6000k,to 30000k along with that we offer D1S, D1S/D1R ballasts. 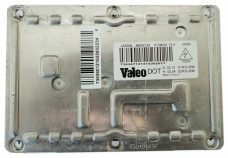 The new addition is the Digital slim ballast which is state of the art technology which makes the best use of your vehicles energy and to provide you complete safety we offer the new wire harness so you don’t have to worry about any short circuits because of overload on the car’s electronics, the surprise offer for 300C is the problem eliminator plug. All of these models provide three times more light on the road than the ordinary lights and when you buy this lights you are given a one year warrant so that if your hid kit get damaged you can replace it without any cost within the period of the warrant. The installation is an easy 3 step process and all our products have an installation guide to walk you through the procedure.